Our Facebook prize draw attracted lots of entries in the run up to Christmas. There are 3 fabulous prizes, lovingly offered as an act of subversion in mean political times. Each of the 3 winners gets a free a weekend course of their choice at Flux. Our first winner is Corrine Edwards. This is a course I love to teach and I’m pleased that it gives me the opportunity to meet Corrine in person. We’ll be using searing flames to melt precious metals so it’s the perfect time of year to be exploring this fiery process. We’ll drive out winter’s chill! Our second winner is Tracy French. 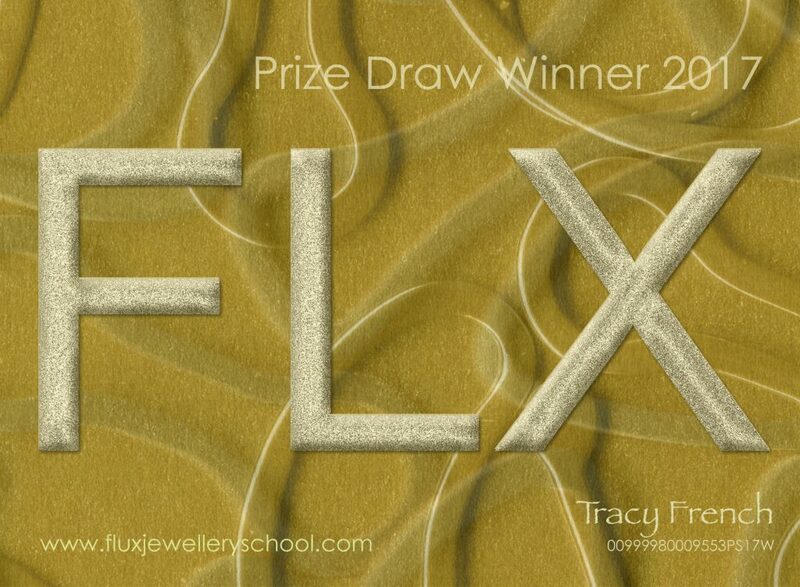 Tracy was thrilled to have won this opportunity to add new techniques to her existing jewellery making repertoire. For her choice, Tracy was sorely tempted by our popular enamelling course, presented by our expert Enamelling resident Jessamy Harvey. (Introduction to Experimental Enamelling Techniques for Jewellery). However in the end Tracy was drawn to the hypnotic glow of molten metal, and along with Corrine she has opted for Casting Techniques for Jewellery. I’m very excited! Our third winner is Anna Jackson. Anna works with textiles and print, so her choice of course seemed obvious. Fabric and Metal – Textilize Your designs explores new or unusual ways to combine textiles with metal, and I can see how well this course will enrich her existing arts practice. Using techniques like threading, or the use of tabs, rivets and screw-threads she will have opportunity to explore how to hold, clasp and pin softer elements together. We are very excited that Anna will be joining us for this weekend of sheer play. Since we had so many interested applicants for the prize draw, we have extended our season of giving to offer an extra surprise for 2 lucky winners. Benjamin G and Liz Pearson both receive Gift Vouchers that they can redeemed any time before August 2017. Which course would you have chosen from our short course programme? If you’d like to be in with a chance next time we run our Facebook prize draw, like our page (link here) and keep an eye on our activities. The new term at Flux starts January 17. If you are keen to take up a course, check out our full listings here. Tagged casting, Classes, Courses, hot courses, inspiration, prize draw, weekend, Workshops. Bookmark the permalink.